The Lower Mill site restoration is in its final stages. In preparation for utilities to be installed, the land is being compacted and wet areas filled in. The project has been very successful in cleaning up the Brownfield site, especially the old “log pond,” which was the area of most concern. The wood waste has all been removed and the resulting hole is almost all the way filled. The compacting of the new dirt in the hole has caused some water to bubble up from the wood pond and a pipe has been installed to pump out this water. According to Port Property and Development Manager, Anne Medenbach, JAL Construction Inc. has done an excellent job assessing these different situations and working with the Port on the restoration. 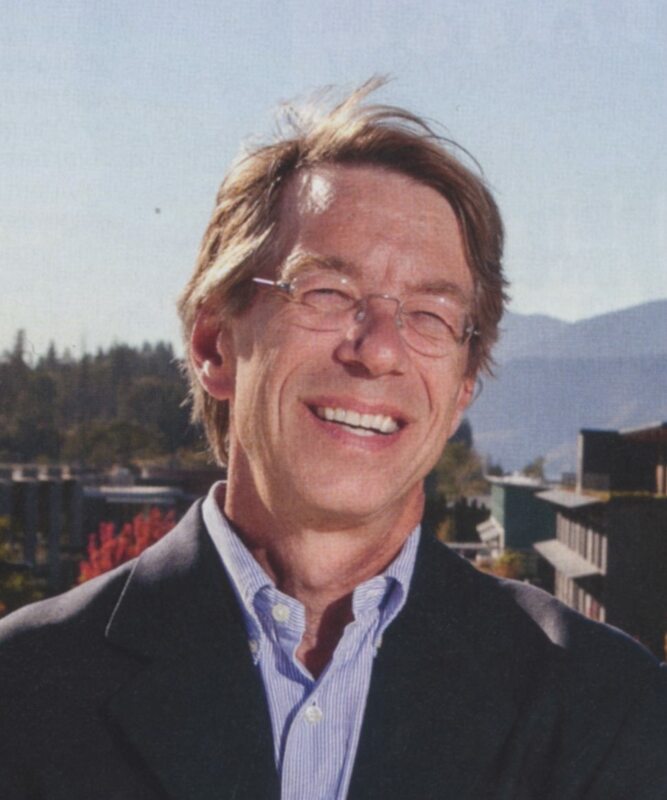 Medenbach described the next step in the development of the land that will begin around June. She will be working closely with engineers to create the lay-out plan for the buildings, electrical, and plumbing components that will be added to the property. That lay-out plan will then be put “out to bid” for contractors around the state to propose pricing, timing, and execution plan. Medenbach has been overseeing this project since the beginning, when negotiations for the land purchase from Hanel Development Corp. started in 2014. The total volume of dirt taken from the “log pond” is approximately 20,000 cubic yards. A truck can carry about 15 to 18 yards of dirt, making it not cost effective to transport the dirt to a different area. This dirt is approved for fill use and some gardening. The dirt is located in the back corner of the lot and it is free of charge to pick up. The Port recently launched a redesigned website (portofhoodriver.com) with the help of local web developer Gorge Web Design. The new mobile-friendly site offers enhanced functionality and clean design, with a scalable framework for future expansion or updates. “Our primary objectives were to simplify the organization of the site to help people find information more easily, as well as expand transactional capabilities for our users,” explains Genevieve Scholl, the Port’s Communications and Special Projects Manager. The new site has e-commerce features in place, such as online sales of Event Site season parking passes (available in May), and reservations booking of the Marina picnic shelter and Port conference room. Later this year, an interface with the new electronic tolling system software currently under development by P-Square Solutions will allow real-time BreezeBy account management. Dee Holzman of Gorge Web Design relayed that the new site will also streamline email communications. In addition to BreezeBy customers’ traffic alerts for bridge closures, subscribers may join a general interest or Port News list, and contractors can sign up to receive bid notifications in the new RFP Bid Center. The new site’s main navigation menu includes links for the Bridge, Industrial Development, Airport, Marina, and Recreation. The Bridge pages include traffic alerts and announcements, BreezeBy Electronic Tolling and general information. The Waterfront Recreation section includes visitor information, links to Port-approved watersport schools and concessions, seasonal Event Site parking pass sales, upcoming events, current wind info, a live marine traffic map, and links to live weather cameras. The Airport section offers information on the Airport Master Plan, T-Hangar spaces, pilot information, and events. Marina pages include moorage information, Marina rules and regulations, cruise ship docking, information on the Marina Master Plan, waterfront access zone map, picnic shelter reservations and more. The Industrial Development pages include general information plus specific project data on activities like Lot 1 Development and Lower Mill Site Redevelopment. Scholl expressed her appreciation to Holzman for completing the project on schedule and under budget, and also thanked Richard Hallman, Blaine Franger, and Judy Newman of WAAAM for their contributions of photography for the website. Gorge Web Design offers fully customized website solutions that are easy to navigate and responsive to mobile, tablet laptop and desktop devices. The Port is engaged in a diverse range of projects and activities. Each week, it seems, there are new opportunities, challenges and initiatives to consider. The Annual Report provides detail about some efforts, but there are many less visible. Here are a few of those other stories and recognition of some who have provided positive contributions. 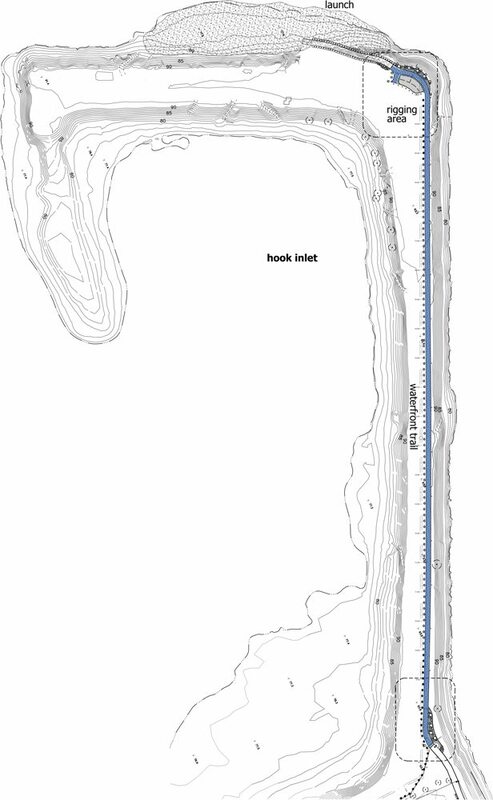 The Hook has been closed this winter for construction of a new sewer outfall. The City of Hood River has managed this challenging project well, and the contractor, Emery & Sons, has been stellar. The Port piggy-backed construction of a new path, seat wall and rigging area onto the City’s work. Users of the Hook should be pleased by the changes. There is a committee for nearly everything, but the volunteer AAC, chaired by Jeremy Young, is one that provides particular energy, expertise and leadership in enhancing our small aviation jewel, the Ken Jernstedt Airfield. The work of the AAC and the success of WAAAM are reasons why the FAA has allocated $3 million for upgrades in the next four years, and the Airport is in a positive position to receive another $1.3 million from the State. We know that an effective way to advocate for legislation and projects that help the Gorge is to show collaboration and broad local support. And it’s most effective if public agencies and private businesses advocate together. OneGorge provides the platform. Thanks to over 100 entities that have signed up and aided this effort. The contribution by our state and federal elected officials over the past two years has been tremendous. Bottom line: The Nichols Basin path happened quickly because Rep. Walden and Sen. Merkley amended the federal WRRDA bill. Bridge replacement efforts were enhanced because elected officials from both states supported an amendment to the 2015 FAST Act. The bridge is FAST Act-eligible because State Rep. Johnson and Sen. Thomsen supported SB 1510. Well done. River rescues occur often in summer. The Hood River Sheriff’s Dept. and Marine Deputy Quintin Nelson do a great job with summer patrols of the waterfront. Their visibility increases safe boating behavior and they respond to a number of emergencies. But who most frequently responds when a kiter or windsurfer is in distress? Kiteboard schools, each with a wave runner and rescue protocols; and they are around most days in the summer. County Administrator Meriwether is retiring in June. I have rarely met a public official with his combination of common sense, smarts and good nature, or who has earned such high respect from his peers. He has done a lot for this community in deed and in tone. I will also miss his Arkansas humor. Public works employees everywhere do remarkable work, often unnoticed – until a storm event or emergency occurs. The Port has eight employees who do a myriad of construction, repair and maintenance projects. The bridge is always a big focus. Painting the center line at 3:00 a.m.? Climbing the towers to change navigation lights? Overnight traffic control? Check. And many more. People say Port facilities have never looked better. They are the reason why. There are other stories and many other individuals who have a positive impact on your port and deserve recognition. We hope to share more another day. 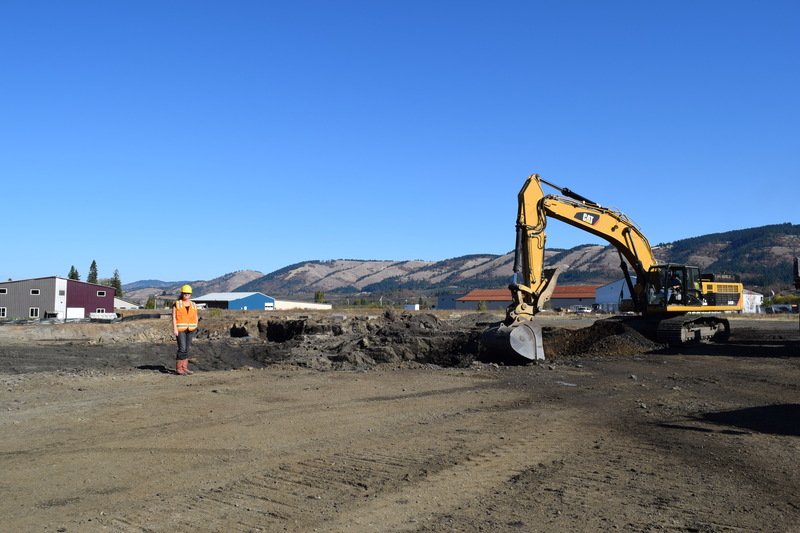 Construction begins this spring on a new waterfront building for Sheppard’s, one of the oldest family-owned businesses in the Hood River Valley. C.M and W.O. Sheppard purchased 1.93 acres of land at N. 2nd Ave. and Riverside Drive in January for $649,374 after fulfilling requirements of its Disposition and Development Agreement (DDA) with the Port. The company plans to construct a 20,000 square-foot light industrial building for assembly, repair and sales of agriculture machine products. The project is moving along as scheduled, with substantial completion expected in late 2016. A development plan for Lot 1 is now complete, outlining critical considerations that include development goals and objectives, Lot 1’s high visibility, preliminary construction cost estimates, and schedule. Walker|Macy completed the plan after a public process and visioning period balancing cost factors, funding options and community needs. Design guidelines and job density requirements will be developed reflecting existing covenants. 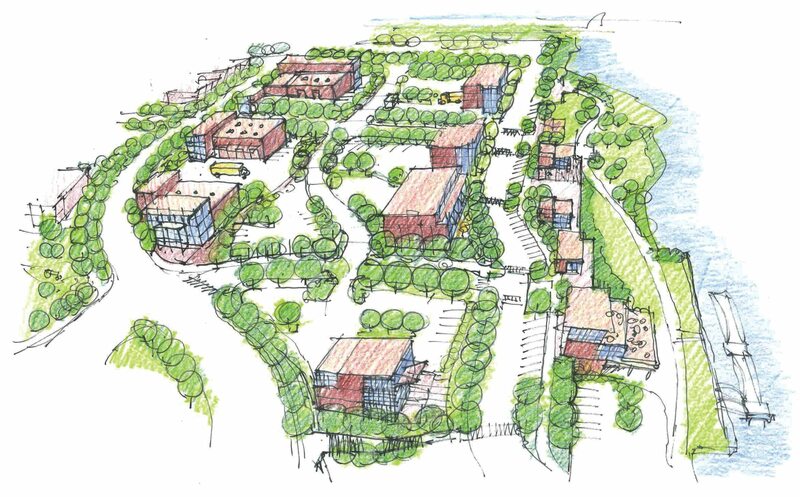 A center swath through Lot 1 is planned to serve as a view corridor from town to the river, with pedestrian access and vegetated storm water runoff treatment. At this time, the Port plans to maintain ownership of rights-of-way and lot leasing is assumed, although the Commission has yet to determine its lease/sell strategy. 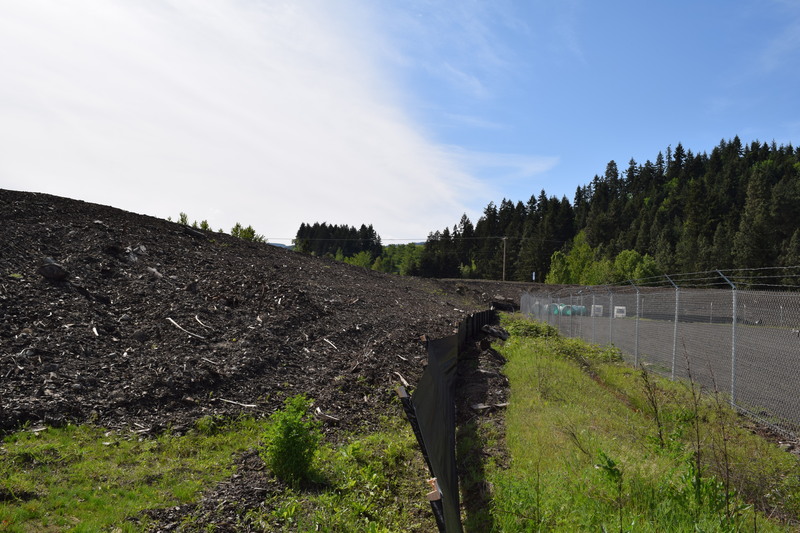 This conceptual subdivision and infrastructure plan serves as a basis for the preparation of a subdivision application to the City of Hood River sometime this year. 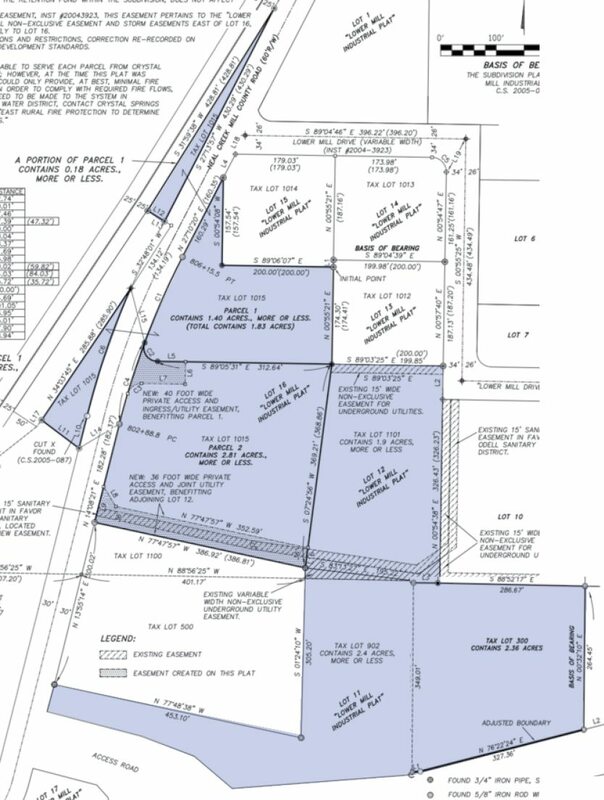 The Port will select a consultant to work on a subdivision application this spring, which will identify legal lots. 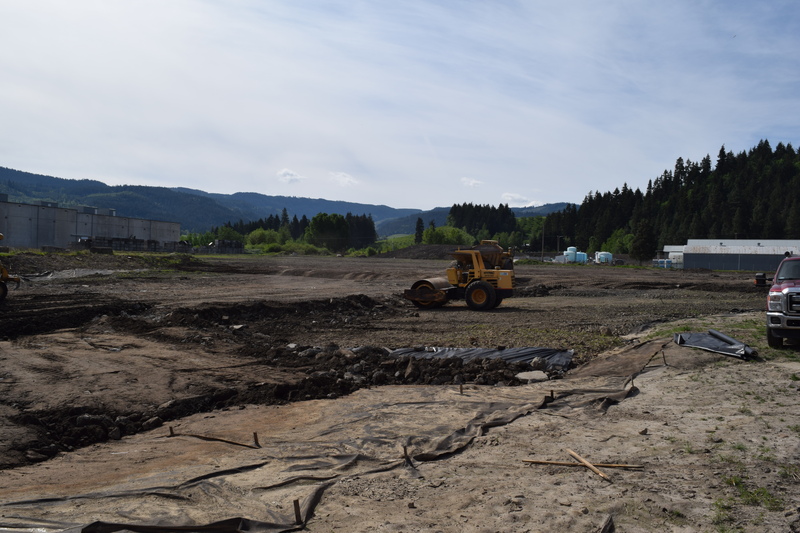 Another major trail improvement is underway on Hood River’s waterfront as the City and Port work toward the completion of the Hook Trail project. The City’s sewer outfall relocation project will soon be complete, laying the groundwork for the City’s portion of the Hook Trail project, which includes paving an asphalt extension of the existing trail; from the northwest corner of the Maritime Building to the northwest point of the Hook. The Port’s portion of the project includes construction of a synthetic turf rigging area, stone seat wall, and solar light bollards lining the asphalt path. Emery & Sons Construction Group is carrying out the work. A $25,895 Oregon Parks and Recreation Department grant and a $20,000 contribution from Hood River Valley Parks and Recreation District have helped fund the projects. The City’s share of the project should be completed in late March, with the Port’s portion finished later this spring. Three industrial lots will soon be available at the Port’s recently acquired Lower Mill Site as progress continues on redevelopment on this M-1 (Industrial) zoned site. After the recent purchase of 2.36 acres of neighboring land, the total site acreage is 12.36, sub-divided into lots ranging from 1.9 to 4.76 acres available for sale. Fill and grading work is 75% complete and will resume after two solid weeks of dry weather. The Port is now working on bringing utilities to individual lots, with onsite utilities out for bid this Spring. For more information about the Lower Mill Site or other Port property available for lease, contact Anne Medenbach, Property & Development Manager for the Port of Hood River, 541-386-5116.
pFriem Family Brewing is now the sole tenant at the Port’s 20,000 square-feet Halyard Building on the Hood River Waterfront. 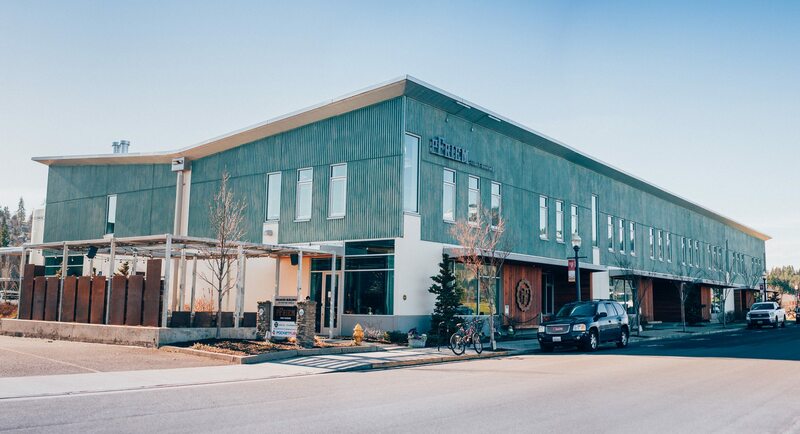 The craft brewery has experienced rapid growth since opening in 2011 as the first Halyard tenant in one of four units. Almost immediately, the company expanded into the neighboring suite, and added an outdoor patio. In 2015, the brewery took over Suite 103 when PocketFuel ceased operations, and early this year the company signed a lease for Suite 104 at Halyard when small manufacturing firm Real Carbon moved to the Port’s Big 7 Building. pFriem’s expansion aids the brewery in boosting production capacity up to 20,000 barrels of beer annually. They are expecting to produce over 10,000 barrels this year, compared to their initial 1,500 barrel output in 2012. The extra space will help the company significantly expand production of barrel-aged ales. pFriem currently has 60 employees, and was recently named Oregon Brewery of the Year at the Oregon Beer Awards. A lift span inspection carried out on Nov. 20 resulted in damage to the bridge deck and span guides that must be repaired before the lift span can be raised safely. The USCG issued a Notice to Mariners about the lift span closure. Since the bridge crosses a federal waterway, the Port is obligated to take immediate and sustained actions to keep the lift span open. HDR Engineering developed a plan to replace two damaged deck panels immediately north of the lift span as well as the two span guides, and share in the cost of repairs. The replacement deck panels have been fabricated at a cost of $13,260 and delivered, with installation to follow the repair of span guides. Span guides are affixed to the lift span at a total of eight locations, four at each end, providing lateral stability as the span is raised. Two lower span guides on the south end were damaged and must be replaced. HDR recommended the new span guides be fabricated to include rollers to allow for smoother movement as the lift span is raised, which adds about $13,000 to the cost, but would result in smoother lift operations. Fabrication and installation of the improved span guides are estimated at $66,000. The Port has ratified contracts for the repairs, with night work scheduled to meet commitments with the USCG for lift span operability.